1.Top goat hair,easy to catch powder,no irritate to your skin. 2.Mini 5pieces makeup brush set easy to carry. 3.Mini 5pieces makeup brush set have a nice teardrop surface which is great for the areas around your nose and eyes. 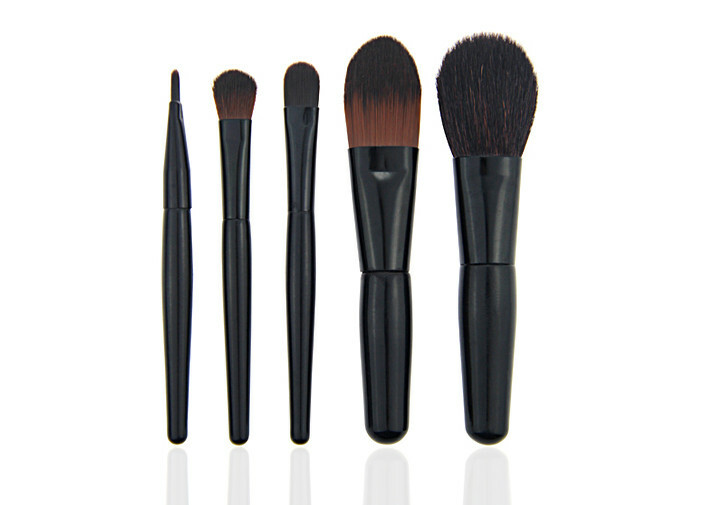 4.Mini 5pieces makeup brush set Fastness, Strong toughness; Chrome-plated ferrules or customized. 5.complete founction-foundation, blending blush ,eyeliner&face powder ,portable and convenient for daily makeup.